A unique and personal college experience that is rare among higher education choices. We want to help you afford the education that you choose. If you thought that you could not afford a private college education, think again. We invite you to explore the ways that Newberry can give you that extra measure of personal attention that makes a difference in the quality of your college experience. The passion of our faculty and students will drive your success in the classroom and your future career. You will share the spirituality and values that give your life purpose.  Newberry is for students who want to live a fuller life. What is a Sticker Price? We know how much it costs to educate, entertain, feed and house each student at Newberry, but we don’t charge that total amount. Some of the cost is offset by the generosity of alumni and friends and by our endowment. The “sticker price” that you see – tuition, room, board and fees – is the remaining cost. But your final bill is likely to be enhanced by scholarships, state and federal aid, and discounts. Ninety-six percent of our students receive financial aid in some form. So your chances for a much lower bill are excellent. We're so confident in the value of a Newberry College education, that we've taken a bold new step to ensure that worries about student loan debt won't stand in the way of your future success. Click to learn more about Newberry College's Loan Repayment Promise. When you apply and gain admission to Newberry, we’ll begin with an estimate of scholarships and discounts that you can earn based upon your academic achievement, talents and leadership. With some basic information about your family income and expenses, we can also estimate your state and federal aid eligibility. We’ll work with you to make sure you tap all the resources available. While Newberry scholarships are not based on income information, all government aid (including state aid)requires you to file the Free Application for Federal Student Aid (FAFSA). Be aware of all deadlines and submit documents and forms on time so you don’t miss out on awards for which you qualify. State awards (South Carolina and others) may require school transcripts and/or test score information. You’ll need to buy books and supplies when you start each semester. Think realistically about your expenses – like pizza and trips home, too. We will help you navigate. We know college is a big investment, and we do believe it is worth the time, effort and money you put into it. Scholarships might cover much of your expense but probably not all of it. Often, parents or other relatives can help out. Each family circumstance is different, so we expect to assist you individually in making your dreams come true. Loans. This is money you have to pay back. There are both federally funded loan programs and private loans. While it is tempting to borrow frequently to cover expenses, it adds up quickly. You should be aware of how much debt you are carrying and how you will pay it back after you graduate. Targeted career programs. Some states have funding programs for students who pursue certain careers that are in demand. For instance, you might be able to find grants that support teaching or nursing if you agree to work in that field for a certain number of years. Summer work. Any kind of summer job teaches you responsibility and provides a paycheck. It is important to try to bank as much of that income as you can so you have money for cash expenses in college. As you complete a year or two of college work, you may be able to find a summer job that relates to your career plans, giving you more experience and better income. Work study. Working during the school year is another way to ease your costs. Campuses like Newberry have many kinds of convenient work study programs, usually 10 or so hours a week in an office, the gym, a residence hall or the dining service. Some students prefer to work off-campus in restaurant or retail jobs. Be realistic about the number of hours you work; it might be very difficult to attend classes full time and work more than twenty hours per week. It is Newberry’s goal to give you the best financial aid offer we can as early as we can. Like family, we want to guide you carefully through the process and help you understand your options so that you can make wise choices. Private education is affordable. We invite you to try Newberry.